I decided to try out a recipe I found when we made the Bennigan’s Broccoli Bites a few weeks ago. 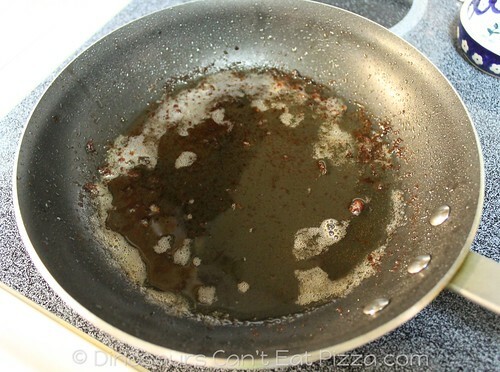 Especially when I saw that I had a skillet full of bacon grease from making BLT sandwiches. The idea of a hot bacon dressing intrigued me because I am getting bored with my usual salad dressings. Obviously I chose to ignore the fat content. Let’s not talk about that, okay? The original recipe was found at Recipesource.com. The recipe is pretty simple. Put your chopped onions in the bacon grease and let them caramelize. 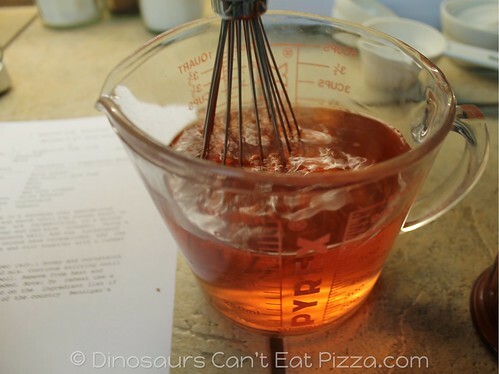 Mix the water, honey and red wine vinegar. Add your cornstarch and whisk it until it gets smooth. The recipe mentioned something about the onions being black! I swear! It’s not like I wasn’t paying attention (as if). 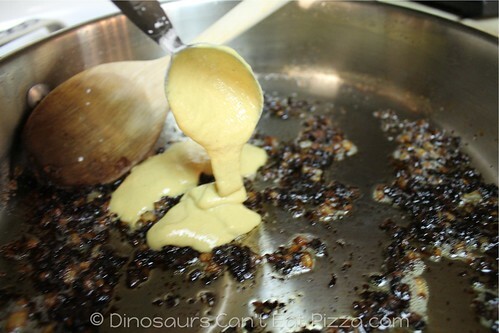 This is when you add the Dijon mustard, by the way. Just letting you know. See how simple? 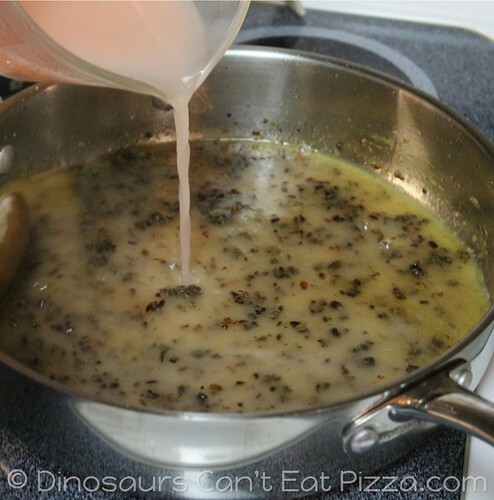 Pour the mixture into the skillet. Continue stirring until it starts to boil. 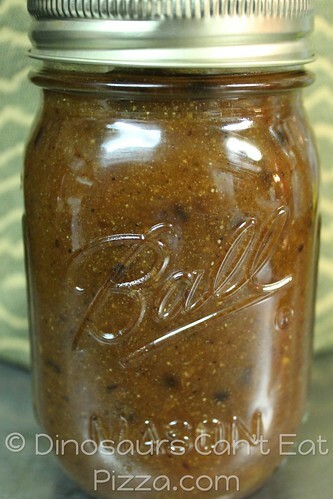 I just stored mine in a canning jar because it’s handy, not because you have to can/process this. I omitted the Tabasco sauce because a) the recipe said in some parts of the country they omit it and b) I didn’t have any in the house. All I know is that this made for a very good salad dressing. It’s obviously not something that should be eaten every day, but the taste was fabulous. 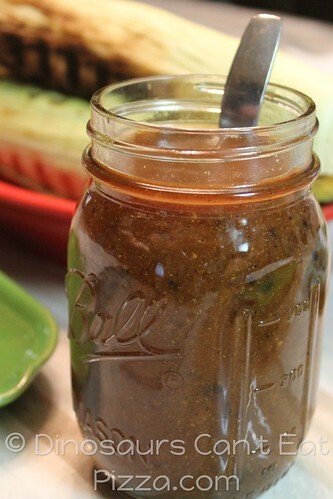 But then again, bacon grease…how could it not be good? : Dressing. Not to be confused with Stuffing. This is the stuff you pour on your salad. vinegar. 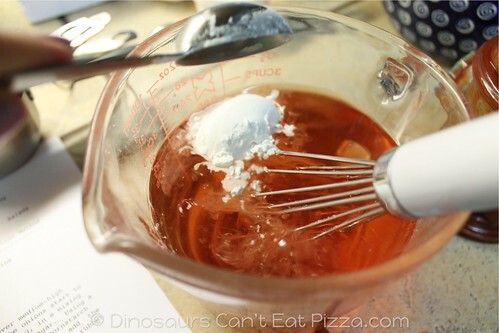 Using a wire whisk, mix the ingredients well. Add the cornstarch and whisk well. 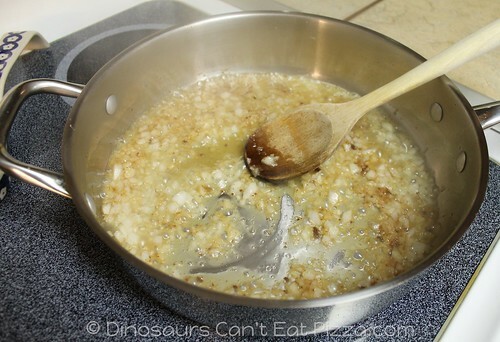 After the onions have caramelized, add the Dijon mustard to the onions and stir together with a rubber spatula.